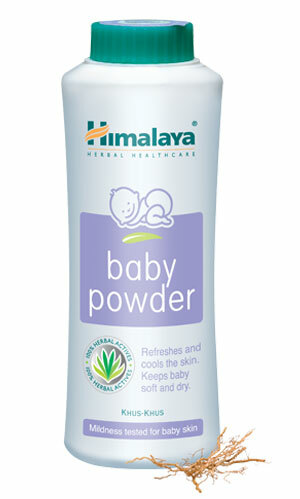 Himalaya's Baby Powder eliminates dryness and keeps baby's skin cool and comfortable. 50g, 100g, 200g and 400g. After bathing baby, apply Baby Powder to delicate areas of the body like the face, knees and elbows. Avoid the area around the eyes.